Please enter the date you want (including full stops, if required). Maximum 6 numbers. No special characters. Thank you! Often searching for keys? 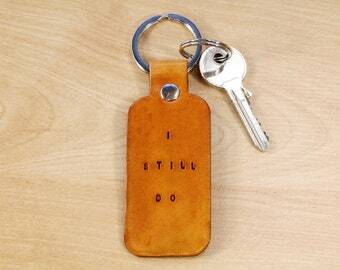 This Special Date leather key fob solves the problem stylishly and makes a really great gift!! 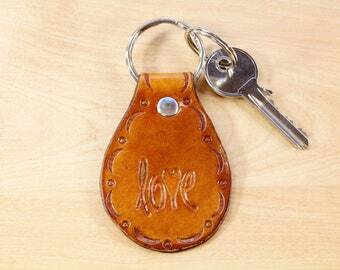 These personalized leather keychains can be made especially for you, your family and friends! 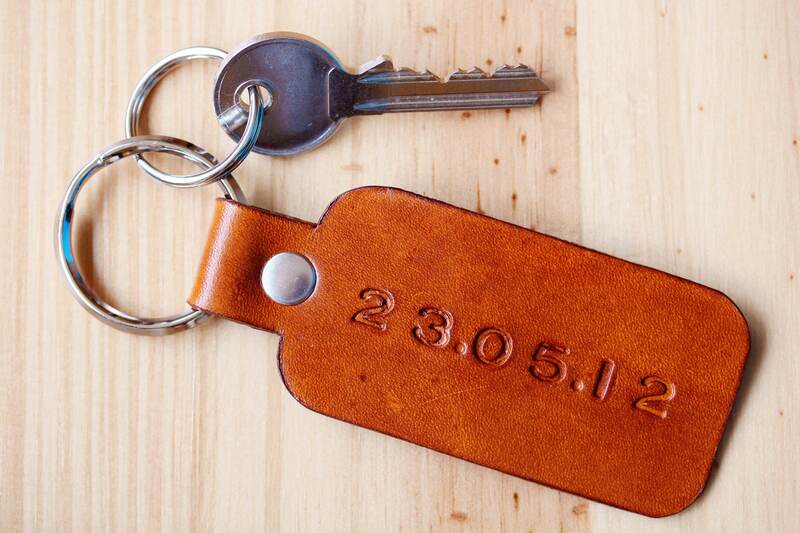 This Special Date leather keyring is handmade from premium quality leather and hand stamped with a significant date of your choice (6 numbers). 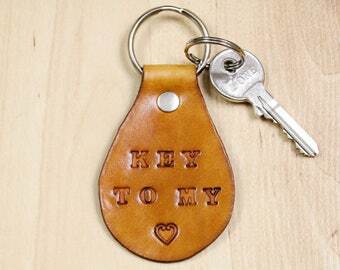 Especially for a boyfriend / girlfriend or a husband / wife gift these keyrings are ideal as His and Hers couples keychains. 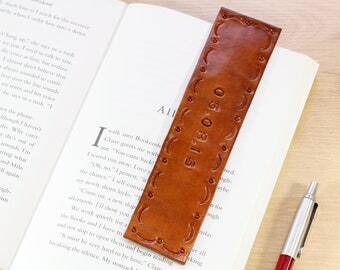 Makes an ideal personalized 3rd Anniversary Gift as leather is the traditional gift for couples celebrating three years of marriage (or 9 years under the modern list of anniversary gifts). 1. 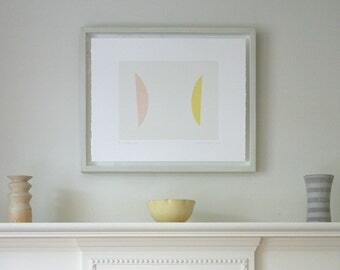 "Such a lovely product! Ordered it for my husband for our wedding anniversary and couldn't have been more pleased. It arrived in record time, looked fab, and the packaging was lovely too! Very pleased with my order. Thank you!" 2. 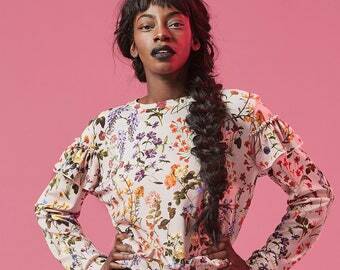 "GORGEOUS item! Packing was immaculate as well, and Tina sent it ever so quickly as I needed the item sooner than expected. This is my first ever Etsy experience and so far, so good! Thank you Tina! Highly recommended!!!" 3. 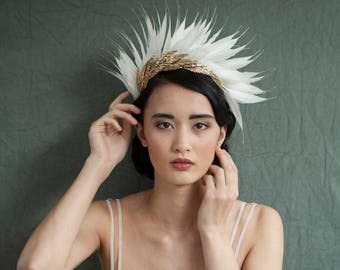 "This Etsy experience was absolutely amazing. 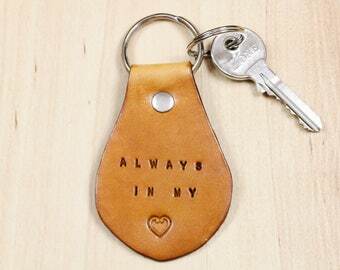 Tina communicated with me throughout the entire process and I received my key chain in more than timely manner. My boyfriend loved it and thought it was such a nice, personalized gift"! 4. "This came out great! 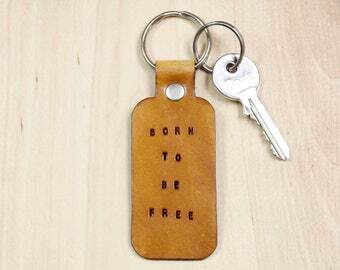 I asked to see if a custom wording could be put on the key chain and it really looks great! 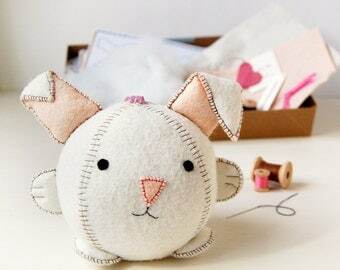 The quality is very nice and the packaging it came in was so cute!" 5. "Lovely craftsmanship. It should be the perfect small gift for our 3rd wedding anniversary". Please let me know the date you would like in number format, either mm.dd.yy or dd.mm.yy, in the personalisation box. Please note: there is only room for two numbers for the year. 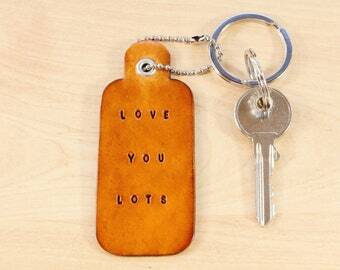 These key chains can mark any special date and make wonderful, romantic gifts. The leather is veg tanned and will last a lifetime with care. 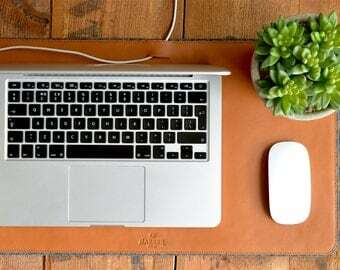 The design shows off the beautiful qualities of the premium brand leather which I use as it is one of the finest hand carving leathers available. 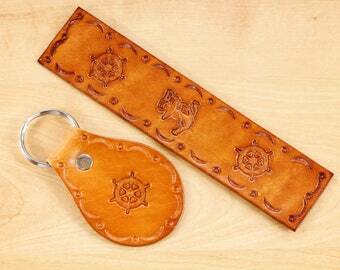 These leather key fobs have the lovely feel and smell of premium quality leather. 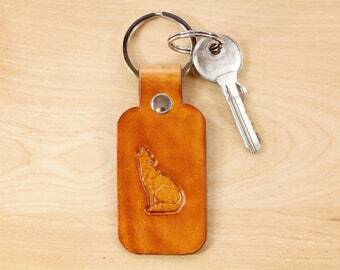 Also, the leather keyring is a really comfortable shape to hold. 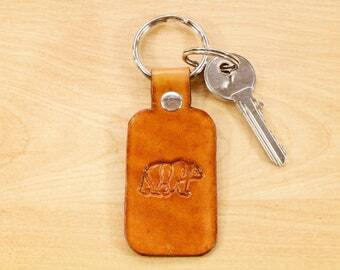 Modern leather keychains are always stylish!! 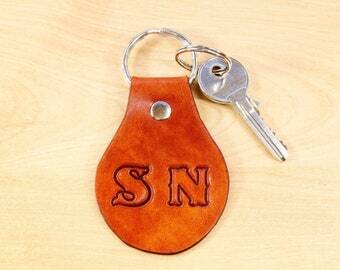 The leather part of the key chain will be approximately 3 & 11/16 inches (9.4 cm) long and 1 & 9/16th inches (4 cm) wide. 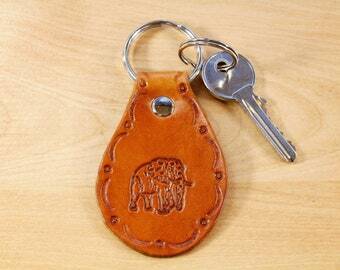 The overall length of the leather key chain will be approximately 4 & 11/16 inches (12 cm) long including the ring. Lovely craftsmanship. 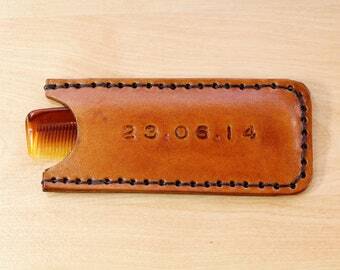 It should be the perfect small gift for our 3rd wedding anniversary. This came out great! 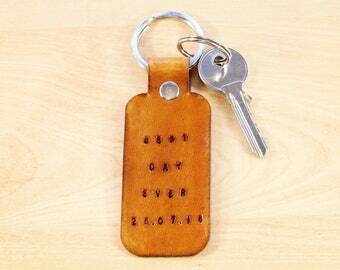 I asked to see if a custom wording could be put on the key chain and it really looks great! The quality is very nice and the packaging it came in was so cute!